A popular beauty queen became the fifth of six Venezuelans to die in the country’s ongoing unrest after she was shot in the head during a demonstration for imprisoned opposition leader Leopoldo Lopez. 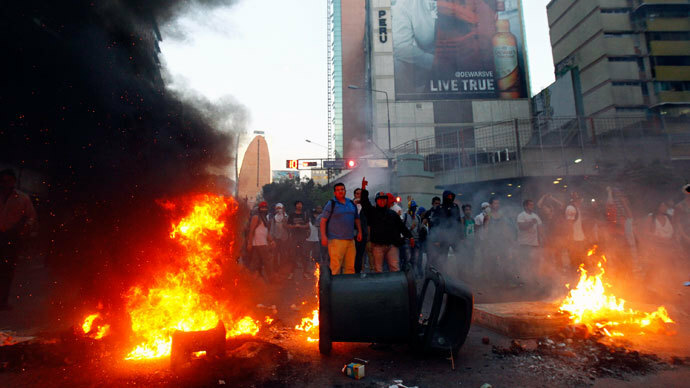 The rallies claimed the lives of three people who were shot in Caracas, and another person who was run over by a car in the coastal town of Carupano. Genesis Carmona, a 22-year-old college student and model, succumbed on Wednesday to injuries sustained the day prior. 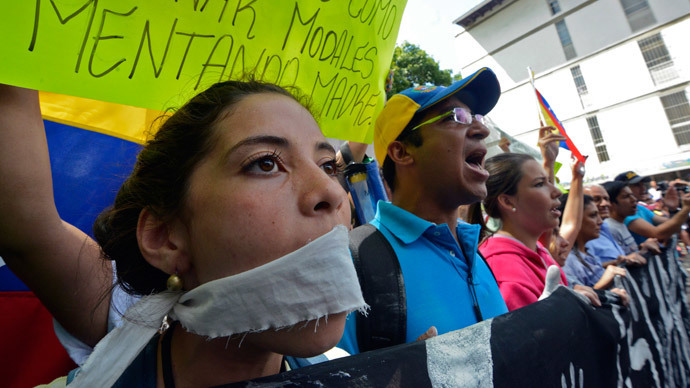 A former beauty queen who was named Miss Tourism Carabobo 2013, Carmona was shot during a pro-Lopez demonstration in the central city of Valencia. Carmona’s Twitter feed shows that she often retweeted messages by influential members of the opposition and pointed her followers to a link that would help them get online in the event that the government cut internet access. “Stay with the one who tells the best stories. One day they will be yours,” read one message she posted. Lopez, a Harvard-educated economist, led three weeks of protests against President Maduro’s administration before he turned himself over to the National Guard on Tuesday – five days after the Maduro government issued an arrest warrant accusing Lopez of inciting violence that has occurred at student protests in recent weeks. Tens of thousands of Lopez's supporters gathered, chanting for him not to turn himself in. They reiterated some of the themes he stressed at previous protests, including demands for better security, protected freedom of speech, and an end to nationwide shortages. 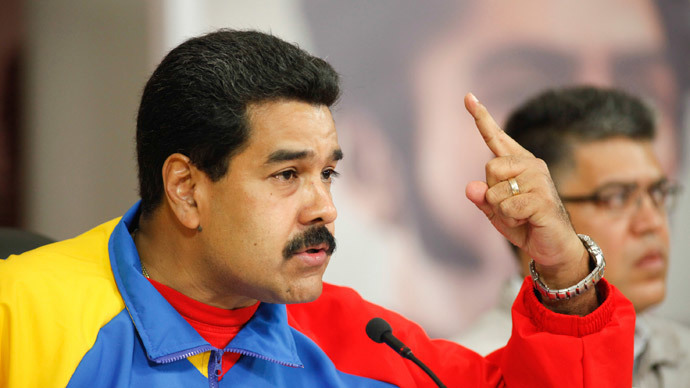 Juan Carlos Gutierrez, one of the attorneys representing Lopez, told media on Wednesday that a court was set up inside the military prison near Caracas where Lopez is being held. The lawyers planned to assert that the government is violating Lopez’s right to due process by organizing court proceedings inside the facility. “This is unprecedented. Our constitution says that everyone should be judged in liberty,” Lopez’s father told local media affiliates. 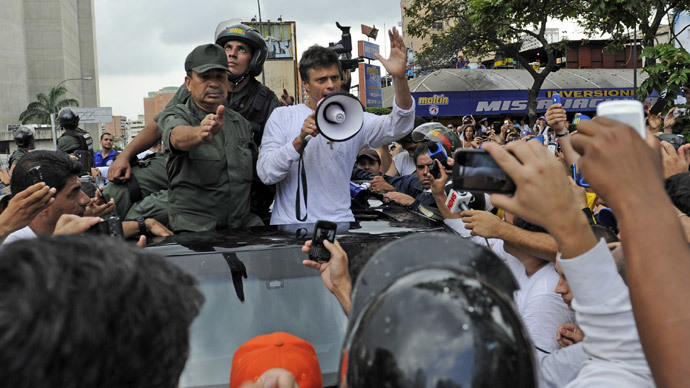 Amnesty International joined the growing number of critics, accusing the government of fabricating evidence to silence Lopez.